I Love Brunch! It just evokes the feeling of a lazy, happy Sunday. And I Love It! 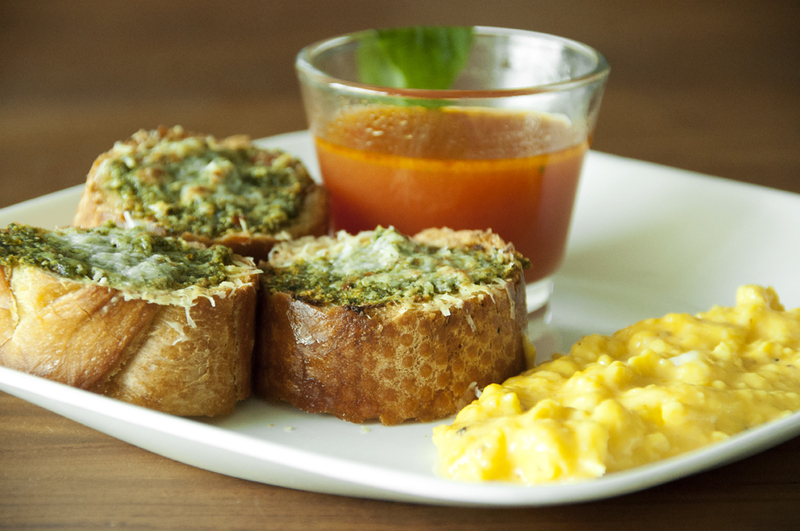 This brunch combines some of my favorite items onto one yummy plate – crunchy garlic toast, best scrambled eggs ever (thanks to Gordon Ramsey) and comforting tomato consommé. Before we begin, let me just say again that this is the best scrambled eggs ever! Bar None! Its a lot of work, but man is this worth it! 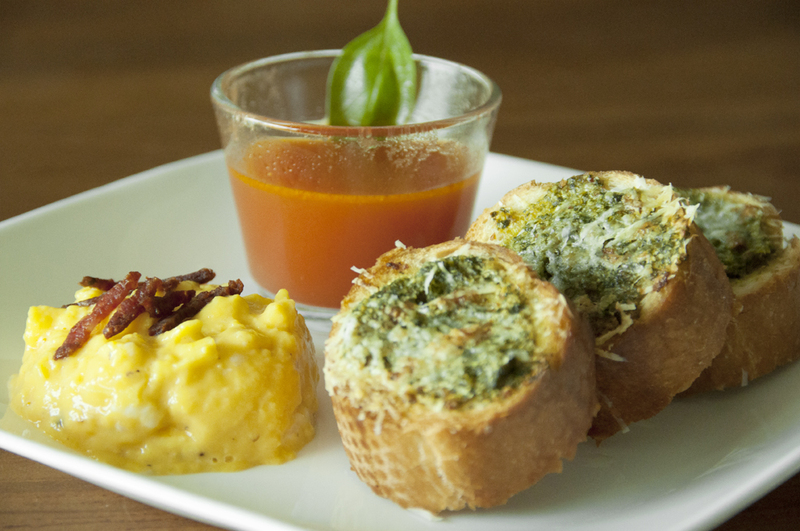 This entry was posted in APPETIZERS (Petite Mouthfuls), BRUNCH ITEMS, QUICK & FUSS FREE RECIPES (Quickies), SOUPS & STEWS (Comforting Slurps) and tagged best scrambled eggs, brunch, consomme, garlic basil toast, tomato soup by Whisky Uncle. Bookmark the permalink. Hello there, I enjoy going through your article post, I wanted to write down a little comment to aid you and wish that you simply good continuationAll the best for your blogging efforts.